Breast cancer remains the top cancer in women. Yet, thousands of Malaysians are still unaware of the common symptoms and are afraid to consult their doctors. 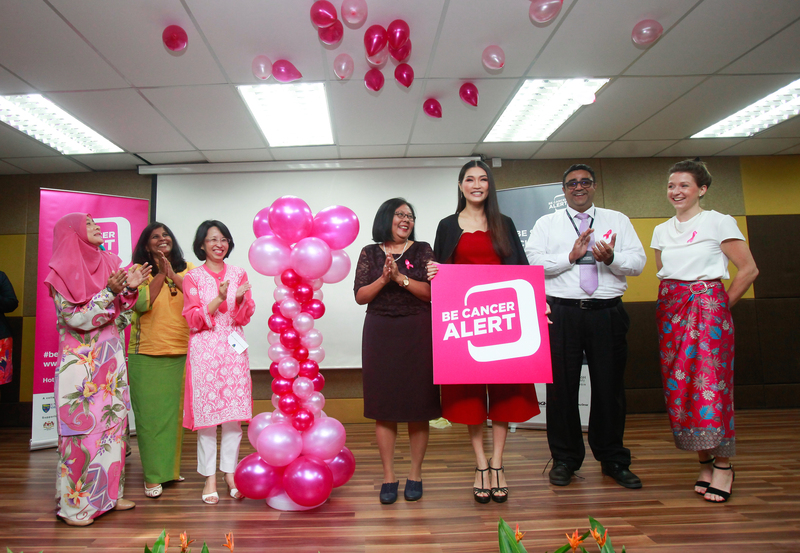 These findings were the driving force for the launch of Be Cancer Alert Campaign, a research collaboration project between the University of Malaya (UM), Queen’s University Belfast, Monash University Malaysia, the National Cancer Society Malaysia and the Ministry of Health Malaysia. Running throughout the month of October, the cancer awareness campaign emphasises the importance of getting screened for breast cancer, as well as recognising the key signs and symptoms. 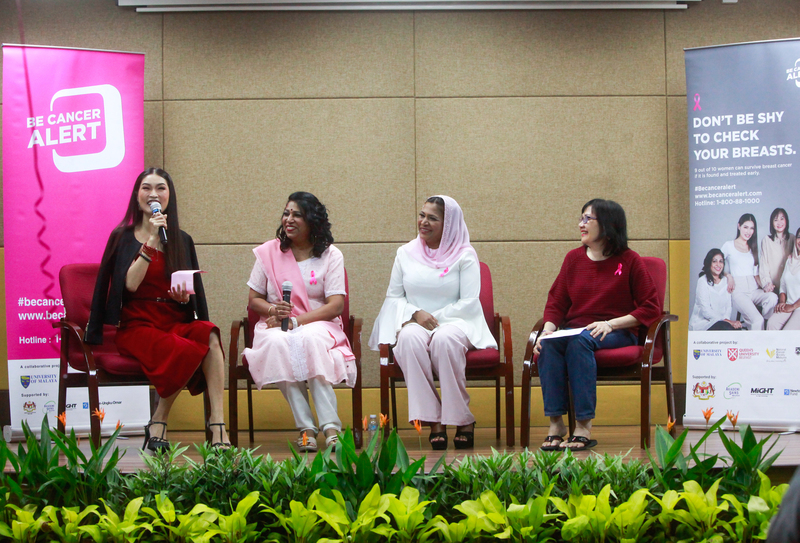 On 27 September 2018, the Be Cancer Alert Campaign was officiated by Prof. Dr. Yvonne Ai-Lian Lim, Deputy Dean (Research), Faculty of Medicine, UM and attended by YB Sivarasa Rasiah (Deputy Minister of Rural Development of Malaysia) and Ms. Amber Chia (Malaysian supermodel and actress). 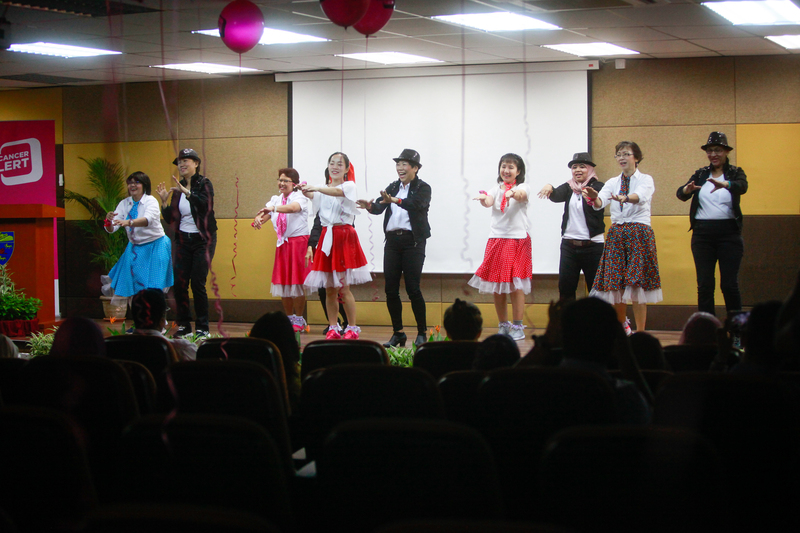 At the launch, a cancer survivor forum was conducted and moderated by Ms. Amber Chia. 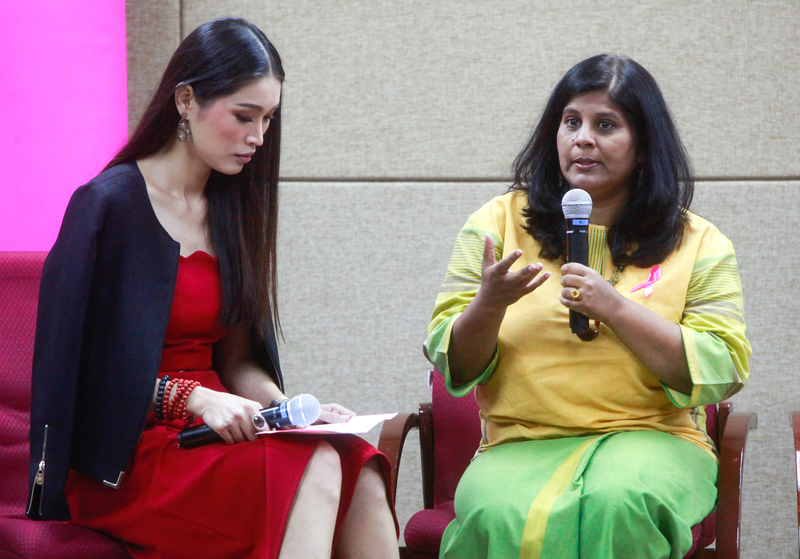 Also present were Dr. Saunthari Somasundaram, the President of National Cancer Society Malaysia who shared her expert view on cancer support system. As an international, collaborative research project between Universities, NGOs and the government, it is one of the first research projects that is going to assess the effectiveness of a breast cancer campaign.